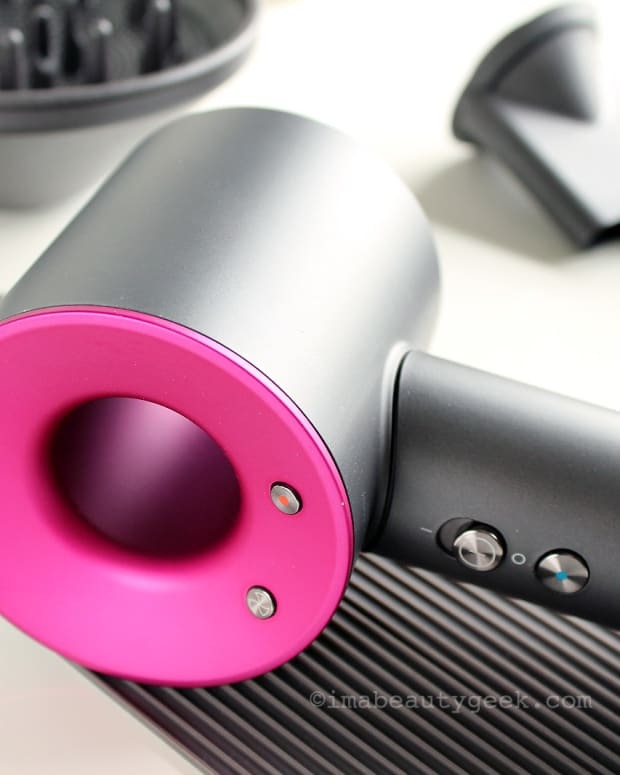 Hands up if you think the newest high-tech styler from Dyson looks frightening! 1) There&apos;s no way to get your hair caught in any of the attachments because there&apos;s no clamp and no suction. As you&apos;ve probably seen in videos by now, a high-velocity airstream is forced out through the channels in the wands and brushes. As it curves along the curling wand surface, the airflow draws the hair along with it so it wraps smoothly around the barrel. In the brushes, it helps keep sections of hair against the surface and smooths the cuticles as you dry. 2) Like the Dyson Supersonic, the Airwrap is all about using airflow to style. There is some heat, of course, but not like there is with traditional heat-styling tools. 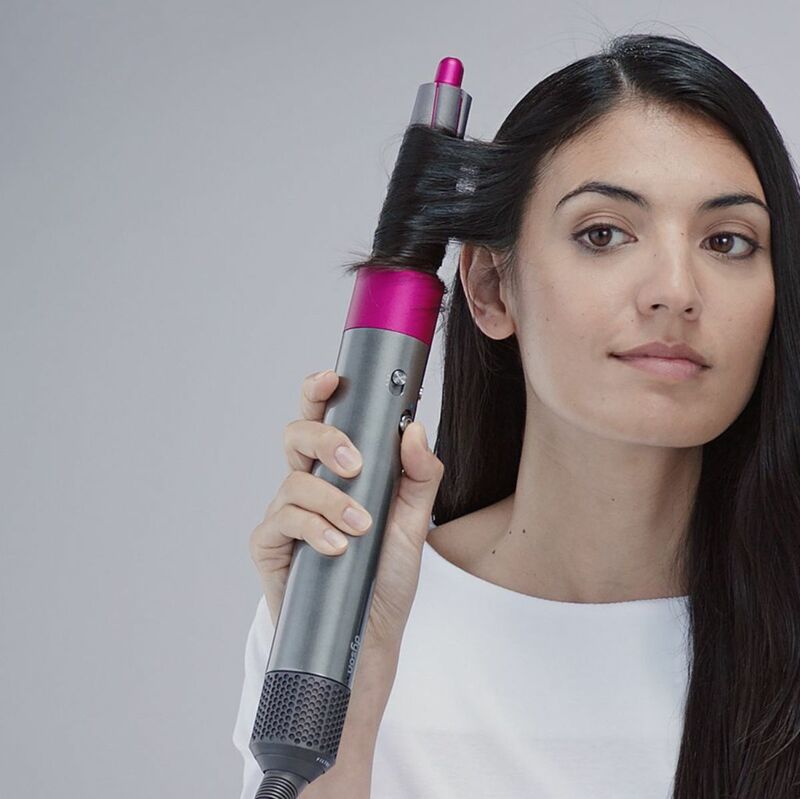 In my little deskside video, stylist and Dyson pro spokesperson Matthew Collins says the Airwrap doesn&apos;t go above 150ºC, so you aren&apos;t going to fry your hair. Why doesn&apos;t the airflow temperature go above 150ºC? Like the Supersonic, the Airwrap is equipped with Dyson&apos;s "intelligent heat control." Airflow temperature is constantly measured – 40 times per second – and regulated via microprocessor to prevent it from reaching scorch levels. 3) You won&apos;t burn your fingertips. Each attachment is easy to click into place, and easy to hold even just after use. 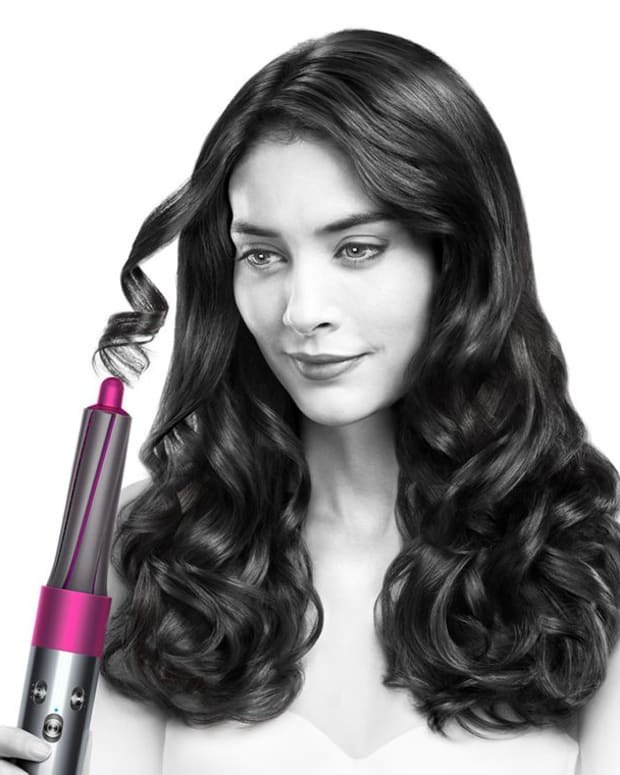 The curling wands and the round brush have that little stay-cool grip nip on top, and the sides of the brushes – see above – are removed from the airflow and thus stay cool to the touch. And because the airflow temperature maxes out at 150ºC, you won&apos;t burn your hands on your hair, either. More geeky details on the Coanda effect, plus how-to videos here. 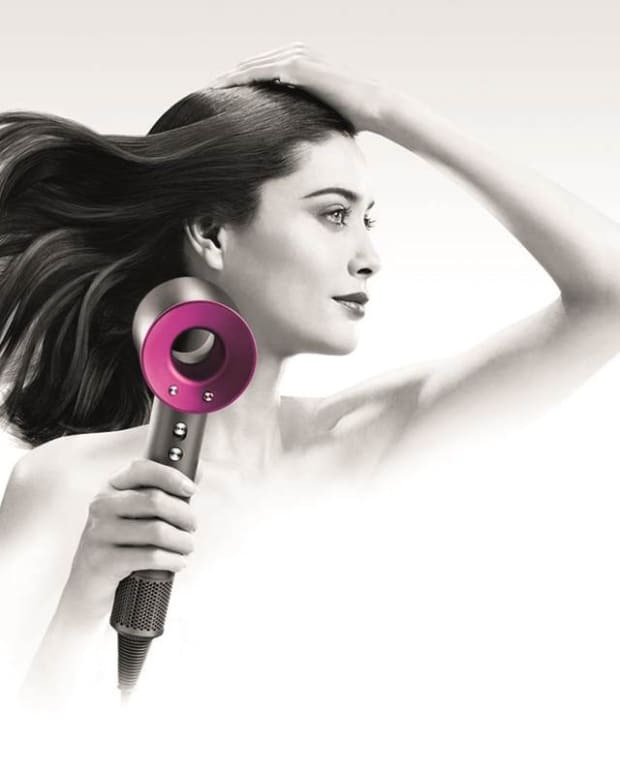 The Dyson Airwrap Styler (from $599.99 CAD and $499.99 USD) is available via dysoncanada.ca* and dyson.com* for now; expect it to be available from Sephora in the next few months. The Dyson Airwrap Styler Complete kit with attachments for thinner/finer hair and thicker/coarser hair ($649.99 CAD and $549.99 USD) is also available at nordstrom.com. Now all we have to figure out is how to crowd-source the funds we need to buy this thing if we want it... #giftregistry? #groupgift? #winalottery?